Slide behind the wheel of the stylish new sedan you've always dreamed of when you come down to our Hyundai dealership near Madison, AL. We have a stunning collection of new 2018 Hyundai sedans you're going to love, and you can take a test-drive today to find your favorite. 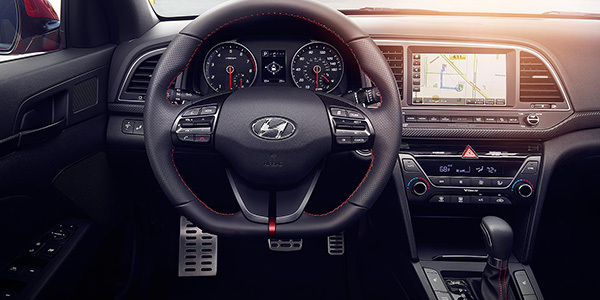 From comfortable cabins and advanced technologies and innovative safety systems and smooth performance, new Hyundai sedans leave little to be desired. Come explore the new 2018 Hyundai Accent and Elantra sedans, or find out how you can finance a new 2018 Hyundai Sonata or Azera. No matter which sedan catches your eye, you'll find it here at Bentley Hyundai! 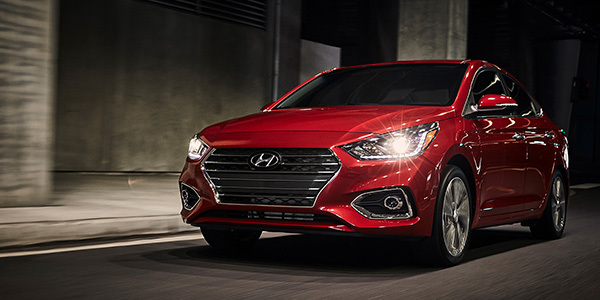 With its low starting price and undeniable reliability, the new 2018 Hyundai Accent is the perfect pick for drivers looking to improve their daily rides. The new 2018 Accent comes in three models (SE, SEL and Limited) and offers a wide range of standard and available features to enhance your experience on the road. The newest Accent sedan also returns up to 38 highway mpg, making it clear that your commutes can be conquered more efficiently than ever. Plus, you'll love standard amenities like steering-wheel-mounted Bluetooth®, audio and cruise controls, a 5-inch color touchscreen and a remote keyless entry system. 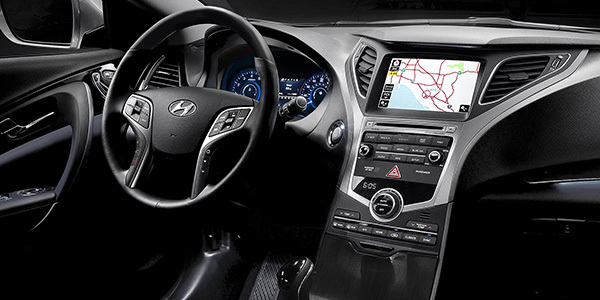 Add in the 7-inch touchscreen display audio system with Android Auto™ & Apple CarPlay™ and you'll be ready for any adventure. Buy the new 2018 Hyundai Accent sedan today! Come explore the new 2018 Hyundai Elantra at Bentley Hyundai and you'll find this sedan to be the ideal match for your active family. Perks like Drive Mode Select, with Normal, Eco and Sport modes, allow you to adapt for varying conditions, while up to 40 highway mpg ensures you can cruise for miles on end. Upgrade trims and you can get luxuries like leather seating, Infinity® Premium Audio with HD Radio™ technology, 8-inch navigation system with high-resolution touchscreen and more. 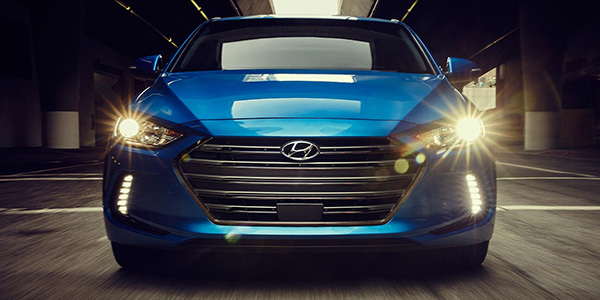 The new Elantra also has available safety technologies like a Lane Keep Assist System and Forward Collision Warning to help increase your awareness on every ride. Test-drive a new 2018 Hyundai Elantra sedan here! 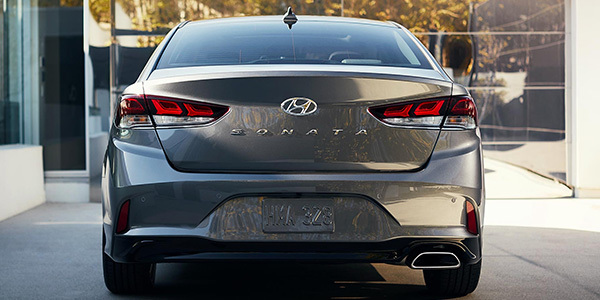 Check out the new 2018 Hyundai Sonata sedan and enjoy refined engineering, advanced safety features and plenty of cabin comforts. A standard 2.4-liter 4-cylinder engine returns up to 36 highway mpg to help improve your commutes, or you can upgrade to an available turbo engine for up to 40 highway mpg. And with luxuries like standard Drive Mode Select and Brake Assist, you'll be ready for all types of driving conditions. The new 2018 Hyundai Sonata also offers amazing available features like a power tilt-and-slide sunroof, hands-free smart trunk, leather seating and much more. Visit Bentley Hyundai to see all that the new 2018 Sonata sedan has to offer! Meet the all-new 2018 Hyundai Azera, a luxurious sedan that will revolutionize your experience on Alabama’s roads. An exceptional 3.3-liter V6 engine outputs up to 293 horsepower while still earning up to 28 highway mpg, and a 6-speed automatic transmission with SHIFTRONIC® and Active ECO System promise smooth performance every time out. 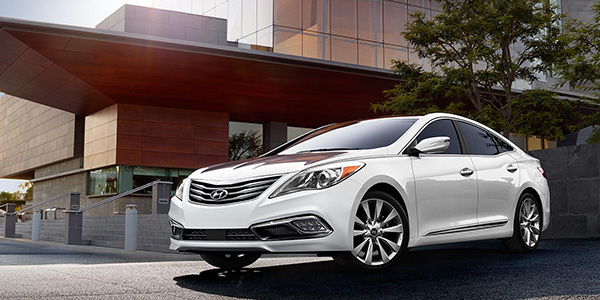 And with standard amenities like heated, leather seating, a 14-speaker Infinity® Logic 7® audio system and an Integrated Memory System, you'll love taking the new 2018 Hyundai Azera out for a spin. Come get your new 2018 Azera today!